Keep up to date by regularly checking our on-line calendar and our Facebook page. Here’s what’s coming up! HAVE A GREAT SUMMER! THANK YOU TO EVERYONE ON THE PTO, ORGANIC GARDEN AND CULTURAL ENRICHMENT TEAMS AND ALL THE VOLUNTEERS & PARENTS WHO HAVE HELPED BRING LOTS OF FUN, LEARNING AND EXCITEMENT TO THE BELL SCHOOL STUDENTS THIS YEAR! 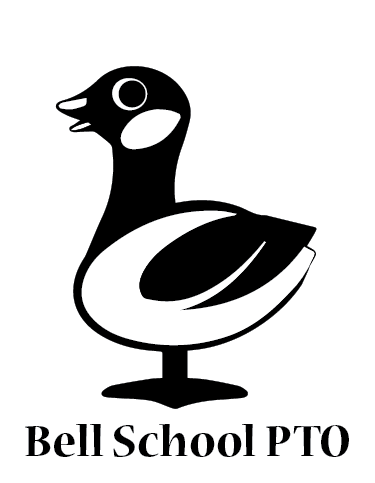 The Bell School PTO welcomes and appreciates your support throughout the school year – whether that is by volunteering your time, providing financial donations or supplying skills, expertise or materials required by the school. 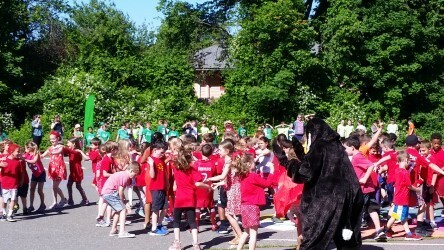 FIELD DAY: Bell School Field Day is this Thursday, June 21! Thank you to all the parents who’ve signed up to come and help run the event. We are short on volunteers for the Kindergarten (10:55 – 11:55) and 3rd grade (1:20 – 2:20) slots.Please check out our Field Day Sign Up and join us if you can. Please ensure your children come appropriately dressed and sun screened – they’ll be running around, dancing, jumping and getting wet outside for an extra hour that day! SUMMER ORGANIC GARDEN CARE PROGRAM: We’re looking for some Bell families to adopt a week during the summer months to help water, weed, harvest and care for the school gardens. It is a nice way to keep your children involved with the entire growing season – as you’ll be caring for the vegetables and flowers that they planted from seed this Spring! Please consider volunteering your time for a week to keep the gardens growing throughout the summer. Check out our sign up here. 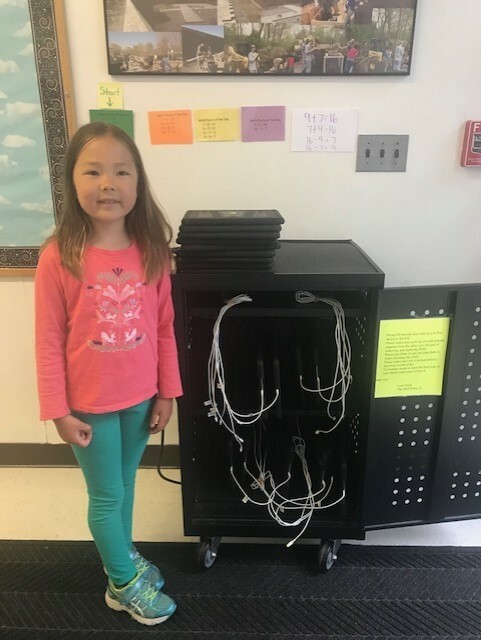 NEW I-PAD INVESTMENT: At our last PTO meeting, we voted to invest in two new iPad carts for the school with the money raised from the Fun Run and other events. The school will get 50 new devices with keyboards housed in two carts ready for the next school year. Principal Donna Zaeske was delighted and thanked the PTO and all the parents for their support. This extra technology will make a huge difference to the kids in every grade – and will especially help prepare 3rd graders for taking on-line MCAS tests. 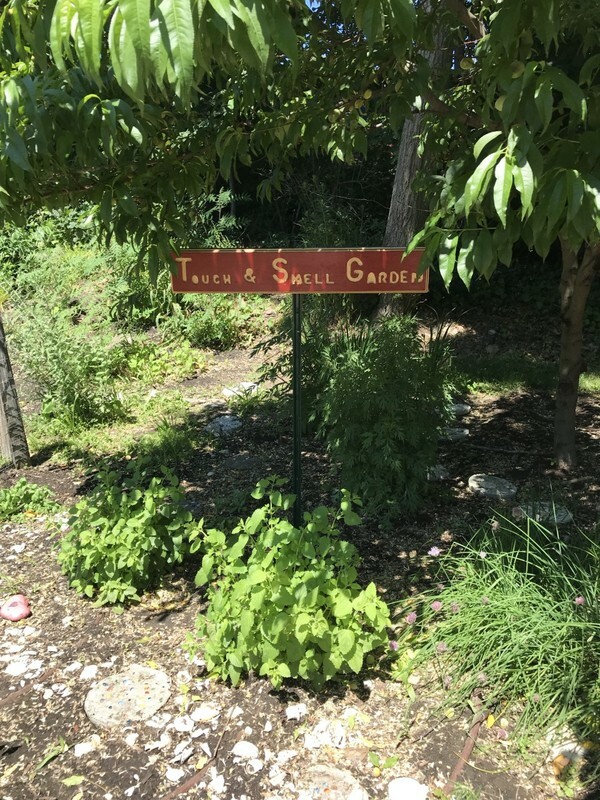 NEW GARDEN SIGN MADE & INSTALLED: Anthony, father of first grader Ryker Genest, kindly made a beautiful new sign for one of our students’ favorite outside areas – the ‘Touch and Smell’ garden. See photo above. Thank you Anthony! The cultural enrichment programs at Bell School are fully funded by the PTO – and only made possible due to the funding we generate by volunteering at the Magic Hat. This includes the many visits, workshops and presentations the kids enjoy throughout the year plus the lessons the children get involved with in the school’s Organic Garden. ARTIST GILES LAROCHE: Illustrator and author Giles LaRoche has once again been working with visual arts teacher Tammy Nohelty and 3rd graders on an amazing ‘cut-paper’ art project, supported by the Cultural Enrichment program. 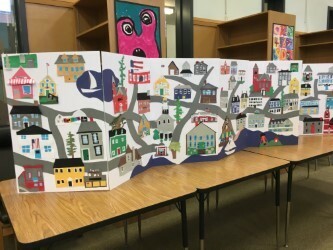 Take a look at the scene of Marblehead above which they created and was on display at Fine Arts Night last week. More photos will be posted on our website. Check out the wonderful work on display in school now. CONGRATULATIONS BELL STUDENT ARTISTS: Well done to the following students who have been honored with community exhibitions and awards! Marblehead Festival of Arts, Old North Church (7/4 Weekend): Sebastian Whitaker, Amelia Dignan, Colby Moore, Sasha Leikikh, Graham Whitaker, Colette Leighton, OleanaLaganas, Mira Seidel, Sophia Patterson, Madison Lord, Emily Hayes, Molly Chamberlain, Daisy Heath, Laurel Kearney, Hardison Piper. COLOR SPIRIT DAY! The kids had a blast celebrating their hard work on PBIS at the Color Dance-off event last week. Check out the videos and photos on Bell PTO’s Facebook Page! FINAL CHANCE TO CHECK LOST & FOUND: Please do check the Lost & Found area before the end of the school year. Anything left over will be donated to the Magic Hat after Friday. VILLAGE SCHOOL FACEBOOK: If you have kids moving up to 4th grade at Village, please check out and like the Village PTO’s Facebook Page to start getting connected.